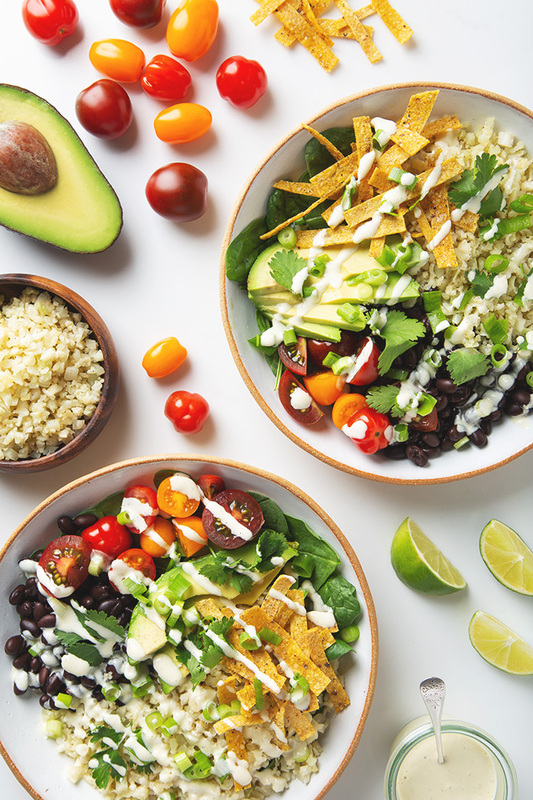 This easy vegan and gluten free cauliflower rice burrito bowl only takes about 30 minutes and is full of protein. The dressing recipe makes a little extra so make sure to store it in an airtight container. You can save it for bean bowls, tacos or raw veggies.